If you have sustained a needlestick, syringe or other sharps-related injury we can help. We are experts at dealing with needlestick claims. We will claim for the stress and worry caused by having to wait for the results of your blood tests as well as any infection or blood-borne virus (bbv) you may have picked up from the needle. We have many years of experience in dealing with needlestick type claims and have the expertise and knowledge to ensure that you receive the compensation that you deserve. Who can claim for a needlestick injury? Anyone who has sustained a needlestick injury as a result of the negligence of another party, known or unknown, can make a claim. How will my needlestick claim be handled? Your claim can be dealt with on a No Win – No Fee basis so you won’t have to worry about how your claim will be funded. If your claim fails you don’t pay us a penny for the work we have done on your behalf. We will bring your claim against the employer of the party that caused your accident. If the incident happened at your place of work then the claim will be against your employers for allowing the incident to occur. This is known as vicarious liability and allows you to bring a claim without having to identify the individual who discarded the needle in such a dangerous manner. The value of your claim will depend very much on how the incident affects you and impacts on your life. You don’t need to develop an infection or disease; your claim can be based solely on the mental trauma and stress that can result from such an incident. You may be required to undergo Post Exposure Prophylaxis (PEP) as a result of the incident. PEP is used as prevention against infection from HIV but can have unpleasant side-effects. If PEP is required we will claim an increased compensation level for the additional discomfort that can result from such treatment. While every case is different the average level of award for a needlestick injury where there is no infection is in the region of £2000-£2500.00. What will it cost to make a needlestick claim? Your needlestick claim can deal with on a No Win-No Fee basis. 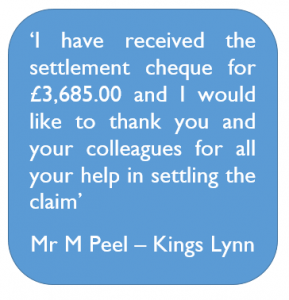 This means that if your claim fails you don’t pay us a penny for the work we have done on your behalf. There are no upfront fees to pay and, once you have advised us to proceed with your claim our agent will call and see you and go through all the required paperwork. How do I start my needlestick claim?